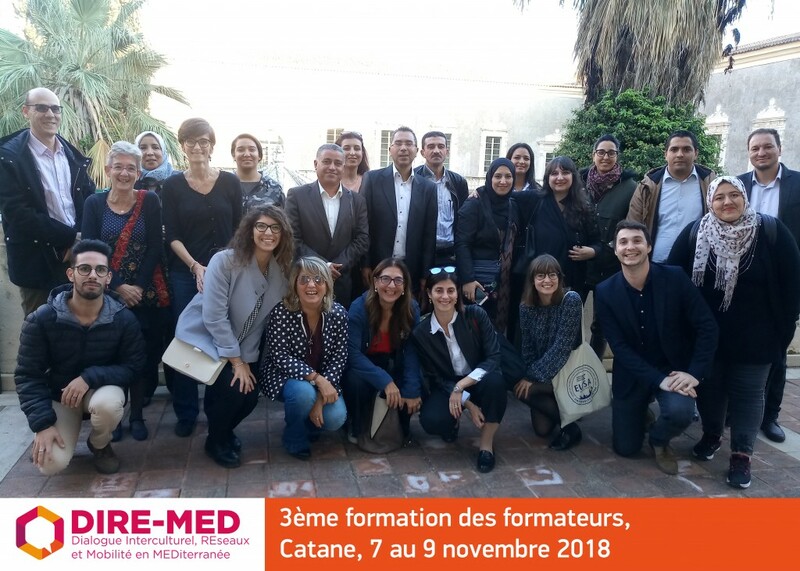 The last train-the-trainers seminar, realised in the frame of DIRE-MED project, took place in Catania from the 7th to 9th of November 2018. It aimed at strengthening knowledge and skills of the administrative staff of Higher Education Institutions – HEIs, on international mobility opportunities. The seminar was coordinated and facilitated by colleagues from EUSA – Estudios Universitarios y Superiores de Andalucía S.L.U., University of Catania and INCOMA -International Consulting and Mobility Agency S.L..
Filomena Capucho, Director of International Relations at the Portuguese Catholic University – Regional Center of Viseu, shared her experience in managing and developing an International Relations Office and summarized the three train-the-trainers seminars. As in the previous seminars, Tunisian, Moroccan and Algerian partners presented good practices, implemented by their respective institutions, in promoting opportunities for international mobility of their administrative staff. Six partner universities, involving 28 staff members, have participated to the modular training and the three seminars! Now, following the method of cascade training, the partners will have to organize local workshops for sharing their expertise and acting as trainers of the academic and administrative community at their home universities.